Even with a purported net worth of close to $90 billion, shares of Apple have apparently gotten too expensive for even American business magnate and Berkshire Hathaway CEO Warren Buffett. However, the “Oracle of Omaha” did leave the door open for buying more shares if the price gets cheaper. Recent SEC filings show that Berkshire Hathaway pared down its holdings of Apple in order to make way for other investment opportunities–a move made by the holdings company’s money managers. Last month, Apple bested analyst expectations in earnings and revenue for its fiscal first quarter, muting earlier warnings by CEO Tim Cook that results would disappoint due to lackluster iPhone sales. Cook cited weaker demand in China as a major factor affecting iPhone sales. Shares of Apple have been battered in the waning months of 2018 as a result of weaker guidance with the tech giant projecting lower revenue due to weaker demand for its iPhone, especially in China. This was reflected in the final fiscal first-quarter earnings results as the iPhone maker beat expectations in earnings per share, revenue and services revenue, but as expected, fell short on iPhone revenue. Buffett, a fan of Apple devices, covets the iPhone maker more for its brand reach as opposed to sheer sales. 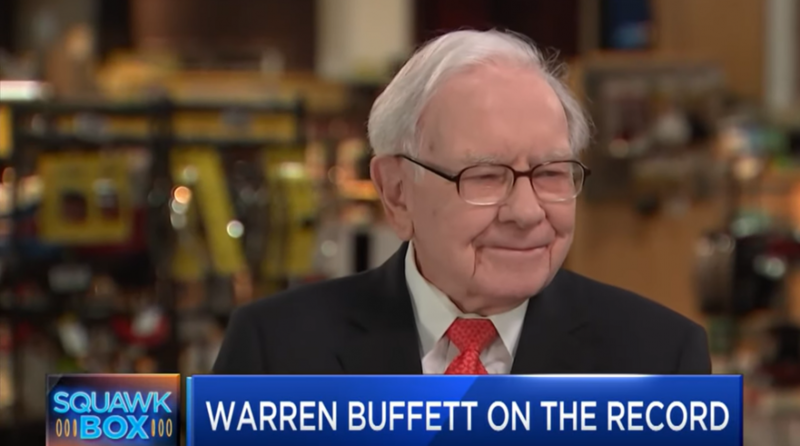 “I do not focus on the sales in the next quarter or the next year,” Buffett said in August. “I focus on the … hundreds, hundreds, hundreds millions of people who practically live their lives by it [iPhone].” He also called the iPhone “enormously underpriced” at that time, saying that it’s worth far more than the $1,000 Apple charges.